As part of our efforts to implement systems changes to improve the wellbeing of Colorado’s children, the Early Childhood Colorado Partnership has enlisted the FrameWorks Institute to support community engagement through strategic communications. Join Moira O’Neil, Director of Research Interpretation at FrameWorks Institute, to learn about FrameWorks’ body of research on framing early childhood development, early adversity and resilience, and the implications of the research for a shared reframing strategy. 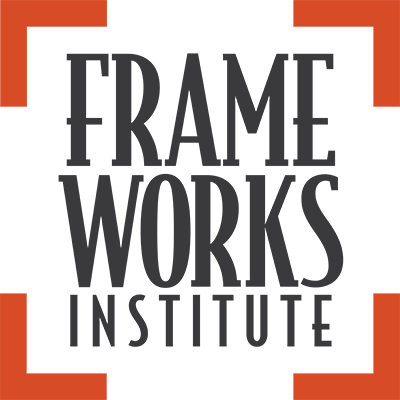 Join us as FrameWorks supports us in an interactive and hands-on workshop on these shared frames. These frames will inform the Colorado-specific messages which emerge from the ongoing Shared Messaging for Early Adversity and Toxic Stress effort. 1. Understand FrameWorks approach to communications (i.e. communicating to build public understanding and support for policy/systems level social change). 3. Understand of existing patterns of public thinking about early childhood development and early adversity. Participants will recognize how communications might inadvertently trigger unproductive patterns of public thinking about these issues. 4. Introduce the recommended frame elements with opportunities to practice using them in the workshop. 5. Recognize of the power of a shared communications strategy. Raising of America Airs Thursday Night!